PAOV — Zahra is a young girl battling the deadly disease Spinal Muscular Atrophy. There is a treatment, but the drugmaker Biogen charges $750,000. Add your name to ask Biogen to provide a humanitarian discount for this life-saving drug to help Zahra get the care she needs to live. Sign now with a click By signing this petition, you are literally saving Zahra’s life. 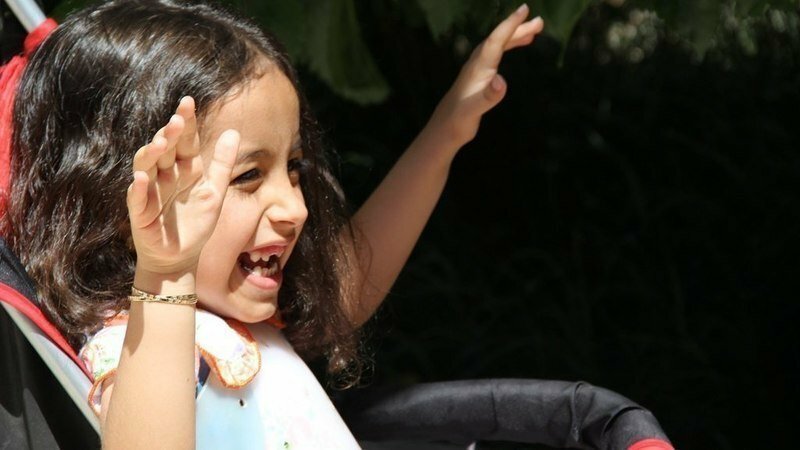 Zahra, a 6 years old girl, has been diagnosed with a rare disease called Spinal Muscular Atrophy ("SMA"), which is a terminal, degenerative disease, that takes away a child’s ability to walk, stand, sit, eat, breathe, and even swallow. SMA is the most common genetic cause of infant death. HOWEVER, a new medication, SPINRAZA, not only can stop the disease, it will restore the previous degeneration. Unfortunately, Spinraza is VERY expensive, costing $750,000 USD! Without Spinraza, Zahra will die. All you have to do in order to help Zahra is to simply sign this petition requesting Biogen, the company which makes SPINRAZA, to ease Zahra's access to this medication by either reducing the price or any other way possible to save her life. Zahra's family is working hard to save their little one, but without this drug nothing will save Zahra. Dear Biogen company, please gift Zahra the compassionate use of Spinraza or at lower prices before it is too late. Please support Zahra's family so that this little girl can start her treatment as soon as possible. No kid in this world deserves to be left to gradually or eventually die.